Microsoft has unveiled new Surface, Lumia and Microsoft Band devices designed to unlock the true potential of Windows 10, headlined by the company’s first laptop build. 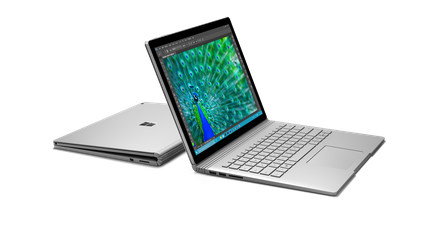 Billed as the first of its kind during Redmond’s Windows 10 devices launch in the early hours of Wednesday morning (NZT), the Surface Book will go head-to-head with Apple’s MacBook Pro laptop, in what Microsoft calls, “the ultimate laptop”. “Ounce for ounce, pound for pound, this is the fastest 13-inch laptop ever made,” claimed Panos Panay, Corporate Vice President of Devices, Microsoft. Despite making such a bold but powerful claim that the Surface Book will be twice as fast as anything Cupertino can produce, Panay remained coy on the finer details of the device. What Microsoft did reveal however is a high-performance laptop that packs a punch, combining the power of the 6th Generation Intel Core i5 and Core i7 processors with up to 12 hours of battery life. The 13.5-inch optically bonded PixelSense Display delivers a high-contrast 267 dpi display with improved latency and parallax, alongside pen and touch features. The screen also detaches, so it can be used like a clipboard to sketch or take notes, with an optional discrete GPU allowing Surface Book to harness the full power of hardware-accelerated graphics for better video editing, faster rendering or immersive gaming. Starting at US$1,4995, Microsoft has yet to reveal local pricing and release dates - with the device yet to feature on the Microsoft New Zealand Store online. During the event, Microsoft also unveiled new Surface, Lumia and Microsoft Band devices, including the eagerly anticipated Surface Pro 4. Like previous Surface models, Microsoft believes the device is “the tablet than your replace your laptop”, measuring 8.4 mm thin, with a 12.3-inch PixelSense Display and 6th Generation Intel Core m, Core i5, and Core i7 processors, enabling everyone from students to professionals to get more done on the go. 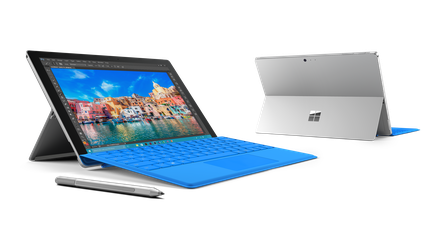 The Surface Pro 4 is 30 percent more powerful than Surface Pro 3 but also quieter, runs cooler, and lasts up to nine hours in battery life. Microsoft says the Surface Pro 4 will start from NZ$1599 and be available from November 12 in New Zealand. “With Windows 10 and these new Microsoft devices, you are at the center of magical new experiences,” adds Satya Nadella, CEO, Microsoft. 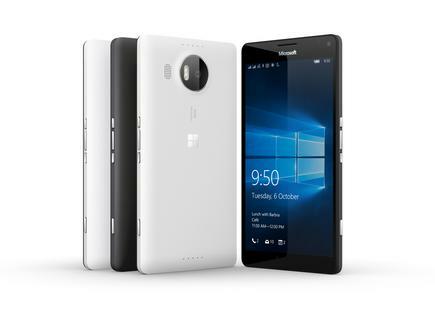 Microsoft also reinforced its commitment to mobile with the introduction of Lumia 950 and Lumia 950 XL, the first Windows 10 Lumia phones and newest premium phones from the company. Redmond says both the Lumia 950 and Lumia 950 XL will become available in select markets in November, with local retailers or operators tasked with providing pricing and availability. In addition, the Lumia 550, Microsoft’s most affordable 4G LTE smartphone running Windows 10, also joins the Lumia family. Targeting “people who value affordability”, the Lumia 550 will begin rolling out in select European markets in December, with additional markets to follow. Capping off the devices launch, Microsoft also announced Microsoft Band 2, the latest fitness wearable designed by Redmond. 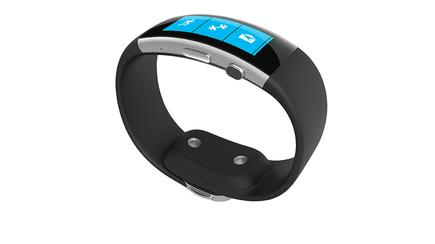 The new Microsoft Band features a new curved display, with Cortana enabling users to reply to texts or set reminders with the touch of a button. Alongside a continuous optical heart rate monitor and onboard GPS, the smart band still tracks calories burned, deep exercise and sleep quality - and now records floors climbed - while maintaining up to two-day battery life. Starting at US$249, Microsoft Band 2 is available for preorder in select markets from October 6, then for purchase in the United States on October 30, with additional markets to follow.